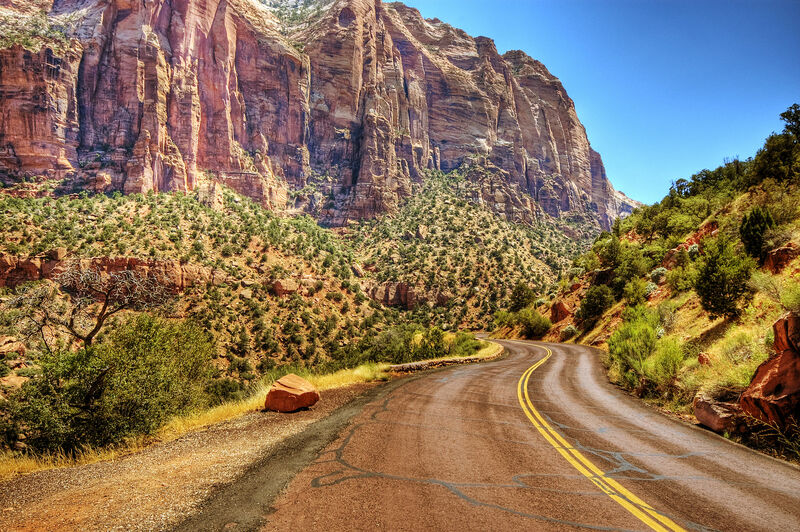 Anyone who has visited Zion National Park will tell you that it is a bit of heaven on earth. The name itself means “promised land.” After glancing through these pictures, it will be easy to understand why the park bears such a name, and why Zion National Park is one of the most visited of all the national parks within the United States. 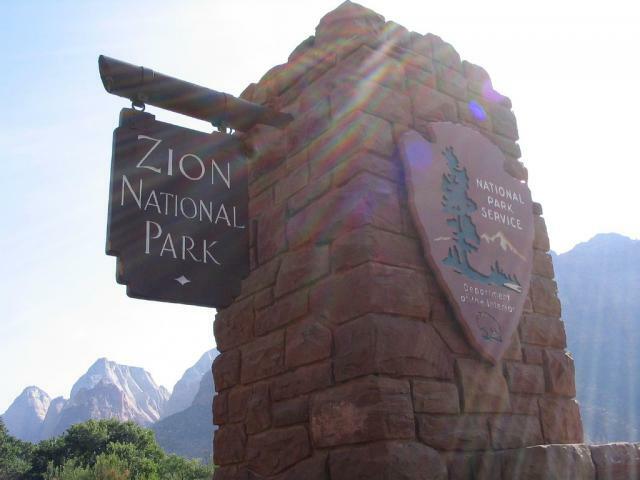 Many visitors come to Zion in an RV rental to experience the majesty of the park via the Mt. Carmel Highway. Mt. Carmel Highway runs the entrance of Zion and is a part of Utah State Route 9. 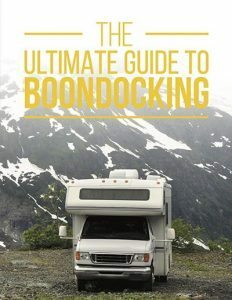 The road is an RV favorite, connecting Zion National Park, Bryce Canyon, Grand Canyon National Park and Cedar Breaks, all in one scenic loop of highway. 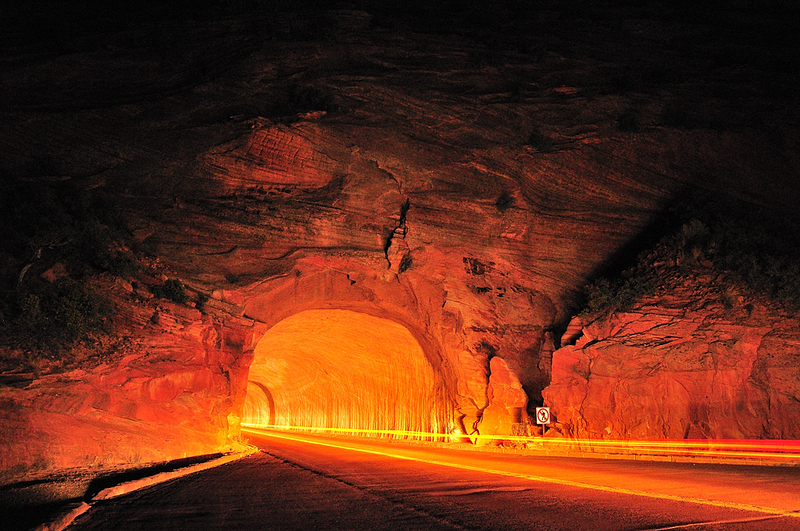 Driving your RV Rental through the cliff-side tunnel in Zion National Park is sure to be a family favorite. 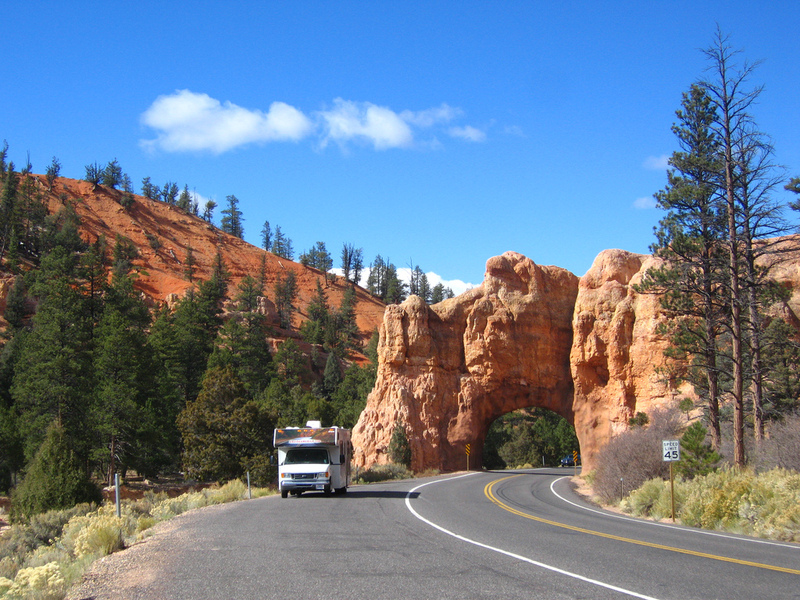 Rangers are stationed on both ends of the tunnel to cater to Recreational Vehicles, stopping traffic so your RV can drive through the tunnel using both lanes. The east portal of the tunnel is a naturally occurring hole in the rock. 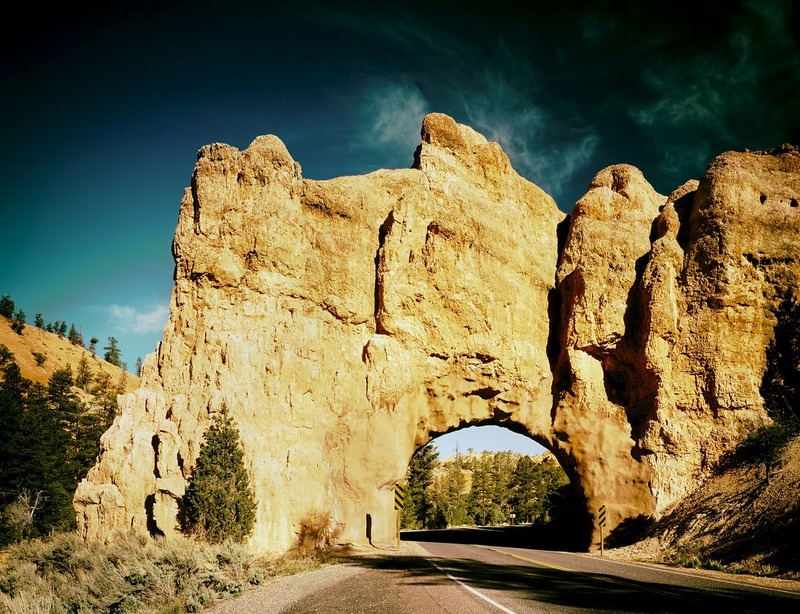 Of course, there are a few natural bridges you will want to drive your RV Rental through, as well. This natural bridge is located on the Mt. Carmel Highway between Zion National Park and Bryce Canyon. Over the span of millions of years, the Virgin River has cut through the white and red Navajo sandstone to create the massive sheer walls within Zion National Park. 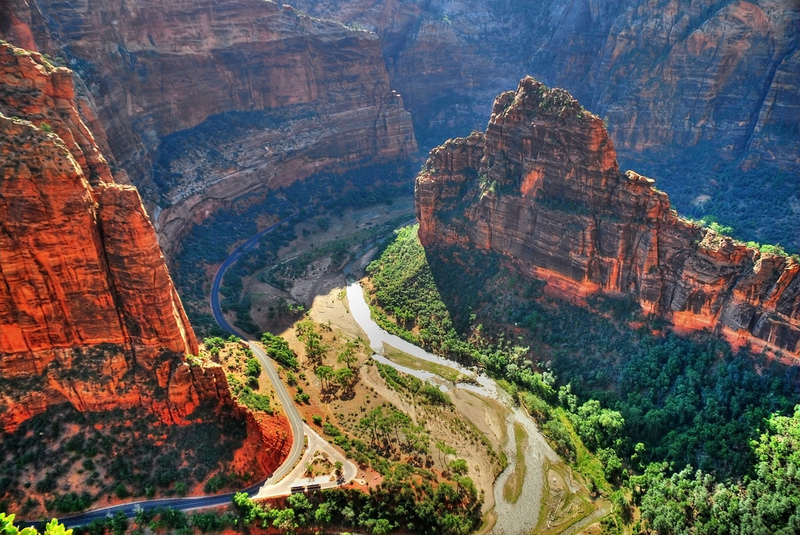 This photo is an aerial view taken atop of Angel’s Landing and shows the popular route through Zion National Park. 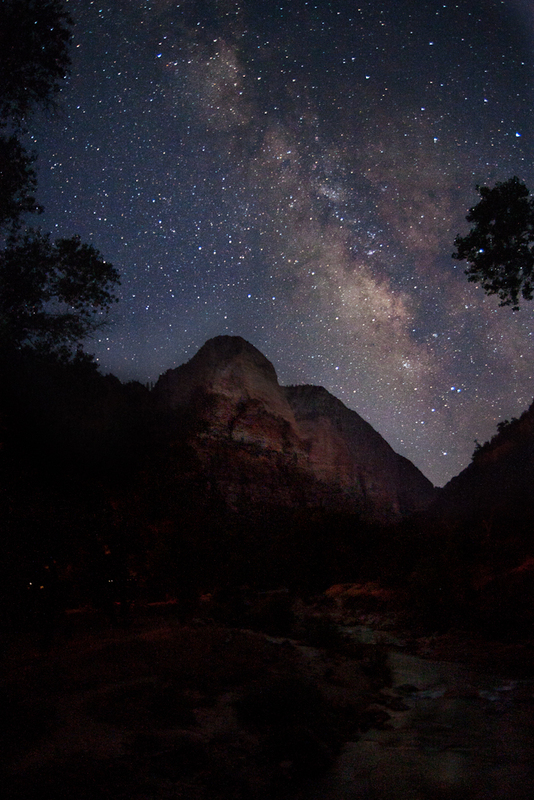 Even when the sun goes down, there is always something beautiful to be gazed upon in Zion National Park. 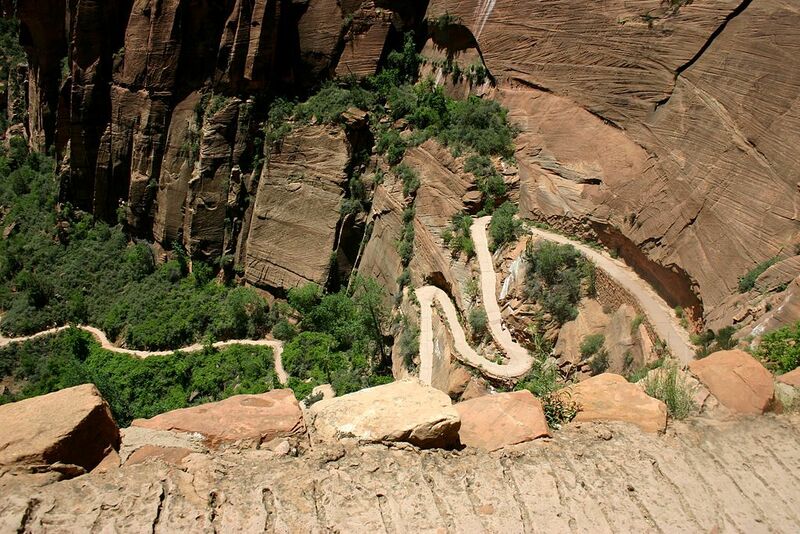 Zion National Park has a trail for everyone. There are short, beautiful hikes, such as the Weeping Rock Trail, with a round-trip time of half an hour. Then there are the opposite, such as the famous Angel’s Landing Hike, which requires a strenuous 3-mile vertical assent, with a view at the top that is well worth the effort. 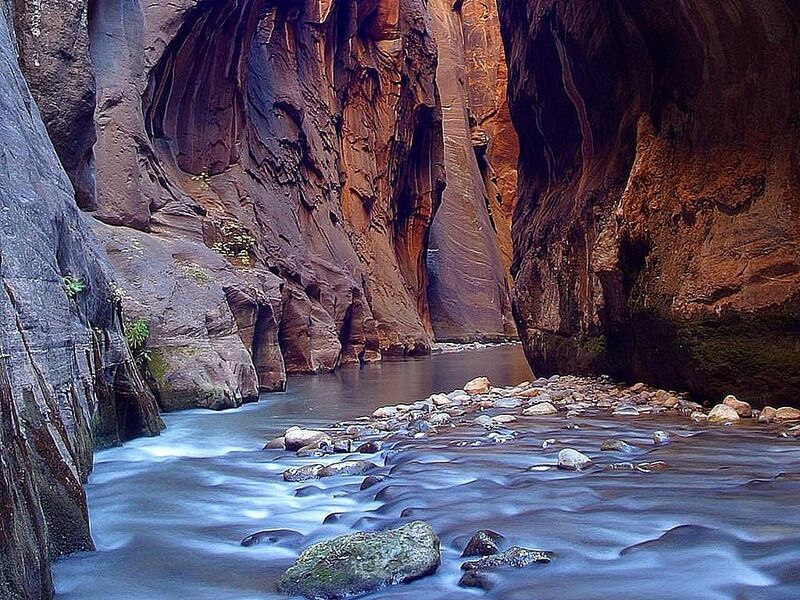 Zion National Park is one of the most majestic places in all the U.S. 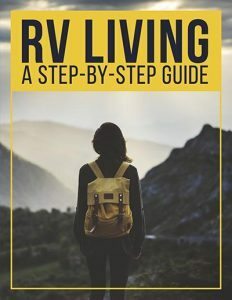 When you consider that Zion is also one of the most accommodating National Parks to recreational vehicles, it would almost be a sin not to pack up the family in your RV Rental and head on over to Zion National Park for an adventure that seems out of this world!